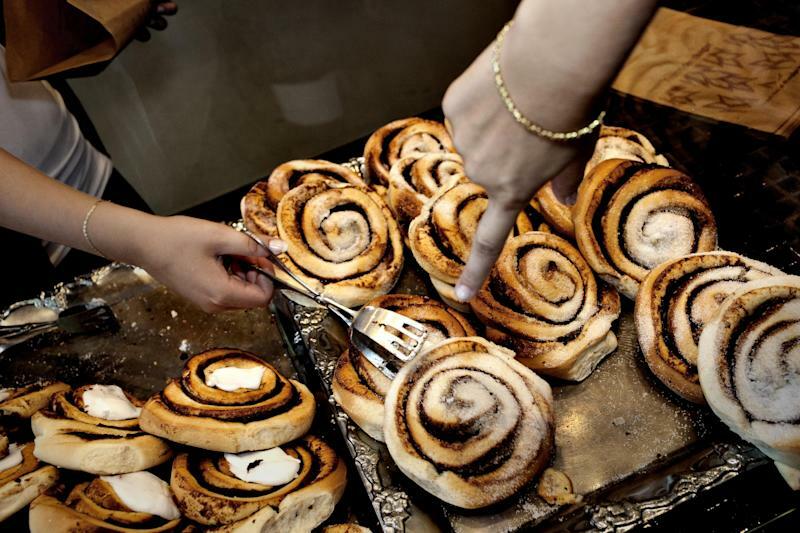 COPENHAGEN, Denmark (AP) — Easy on the cinnamon! 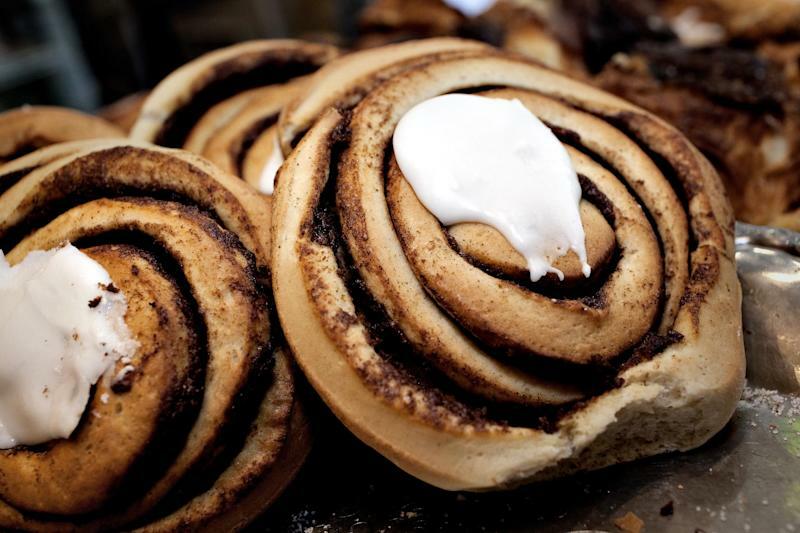 That advice from Denmark's food authority has rankled pastry chefs whose cinnamon rolls were found to violate the European Union's spice rules. The Danish Veterinary and Food Administration recently discovered that Danish cinnamon rolls and twists contained more coumarin — a chemical compound in the most common variety of cinnamon — than EU rules allow. Excessive intake of coumarin can cause liver damage. So the agency asked Danish bakers to reduce the amount of cinnamon they sprinkle in the dough for sweet treats like the "kanelsnegel" (cinnamon roll) and "kanelstang" (cinnamon twist). Danish bakers protested, saying the EU limit is too strict, and would make it hard, if not impossible, to make their cherished pastries. "A grown man like me could eat like 10 'kanelsnegle' every day for several years and not even get near the limit of what's dangerous to my liver," said Anders Grabow, a spokesman for the Danish Bakers' Association. "I would probably get too much sugar in my body before that." The EU limit for so-called "fine baked goods" is set at 15 milligrams of coumarin per kilogram of pastry. The Danish agency found last year that more than half of the 74 food samples it took from bakeries, supermarkets and importers contained more coumarin than that. The Danish bakers noted that their colleagues in neighboring Sweden can get away with more than three times as much coumarin in their cinnamon rolls because food authorities there classify them as "traditional and seasonal bakery" for which EU rules are less strict. The Danish food agency didn't use that classification because it didn't consider the "kanelsnegle" as a pastry sold primarily for Christmas or other holidays, said agency spokesman Henrik Nielsen. Officials will meet with the bakers' association next month to review which baked goods can be considered seasonal or traditional, he said. "When someone challenges people's craftsmanship, it may get emotional," Nielsen said. But, he added, "we want the industry to respect existing rules." EU spokesman Frederic Vincent said it's up to authorities in member countries to enforce EU legislation and that the bloc's commission in Brussels isn't about to ban any Scandinavian pastry. However, he said, the Commission would be ready to help Swedish and Danish authorities upon request "to find a common interpretation that complies with the EU legislation, adequately protects Danish and Swedish (and other European consumers) and does not disrupt the EU internal market." Associated Press writer John-Thor Dahlburg in Brussels contributed to this report.